A lot of energy is lost through your attic and roof. The sun beats down, making your air conditioner work harder, and heat is sucked out in the winter. We can significantly reduce your energy bills, and help you reduce your carbon footprint, by installing an energy efficient roof; that’s why we are the best roofing contractors Easton MD has to offer! There are a few different types of eco-friendly roofing options you may consider. Reflective roofing can reduce the surface temperature of your roof by up to one hundred degrees Farenheit. This means much less heat being transferred into your home and a ten to fifteen percent reduction in energy used for cooling. Ballasted roof systems consist of a loosely laid membrane over the roof deck, which is pinned by concrete pavers or natural stone. This type of roofing is more energy efficient than average roofs. Gardeners will love a green roof, which is a blanket of vegetation grown over the roof of a home. This cover shades the home, decreases the roof’s surface temperature, and cools through evapotranspiration. Green roofs insulate the home by capturing heat and cutting the amount of energy needed to heat, or cool, the house. Mid-Shore Exteriors offers a wide variety of roofing types that provide protection and aesthetic appeal. Slate roofing is lovely, lightweight, and sustainable. Shake composite shingles look like real wood, but are far more durable. Metal roofs are extremely enduring and reflect heat. Copper takes on a beautiful patina as it ages. Duro-Last is an ENERGY STAR rated white, vinyl membrane that is highly reflective and fabricated precisely, to fit your roof perfectly. 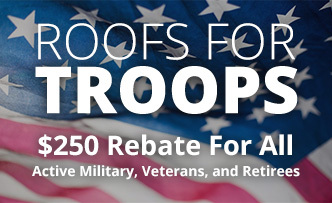 Our high-quality roofs not only protect your home for years to come, but government incentives and rebates, such as an Energy Efficient Tax Break, may be available to you for installing an energy-efficient roof. You can expect professional, genuine customer service from the expert employees at Mid-Shore Exteriors. Other Talbot County roofers create a large mess, which causes damage to your yard. 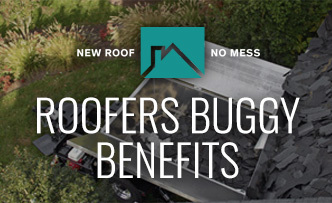 However, we employ a Roofer’s Buggy, which catches all debris before it touches the ground. 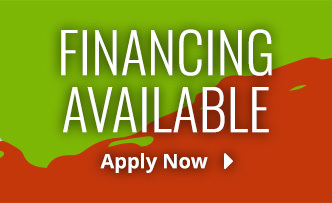 We will ensure that your energy-efficient roof is installed properly at an affordable price. 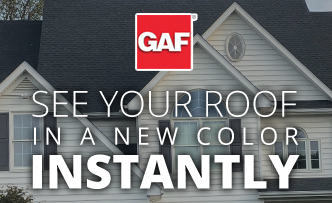 Our roofs are low-maintenance and crafted with the highest quality, which has earned us a high ranking among roofing contractors in Talbot County. Investing in your roof will protect your investments and add value to your home. "Hi Sarah & Brian, I thought I would send you a little note letting you know we are very happy and satisfied with the results. The one gentleman had mentioned to me before they left that they were short on some shingles and would have to return on Friday to finish the job and they were there and completed it Friday morning with no avail. I was very impressed with the professional manner in which removal of the old shingles and clean up of the debris was handled. Tom and I both really like the variations in color from the light to dark on the Thunderstorm Grey colored shingles as they definitely give an architectural interest. We are very pleased! Again, thank you so much for a job well done and if you would ever like use our name as a reference in the future, please feel free to do so."